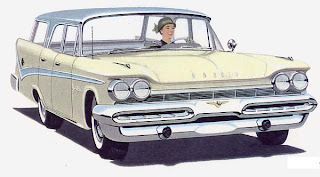 Named for Spanish explorer Coronado DeSoto, Chrysler Canada’s mid-priced marque celebrated its 30th anniversary with the debut of its 1959 models. Despite the annual update, there was little that was new about this year’s crop; the shell was on the third year of the body cycle. The DeSoto styling team had worked hard to create a fresh look for the marque, perfuming the pig--they called it. This year they incorporated a pair of massive, dual jet-look air intakes into the top of the front bumper. Side trim was reworked, chrome was more lavish and tail fins grew larger than last year. For its big birthday bash, a sumptuous new top-of-the-line Adventurer series was crowned king at DeSoto. A mighty 383-cubic inch Turboflash V-8 with four carbs was installed to make sure that these two-ton vehicles would breeze down the pike. The update was pleasant and the posh Adventurer absolutely stunning, but sales were far and few between. Below the Adventurer line came the Fireflite family with two- and four-door hardtops, a convertible and a four-door sedan. It also added a six-passenger, four-door station wagon called the Shopper and a four-door, nine-passenger version that went by the name Explorer. “Touch the button and feel luxury come to life,” advertising whispered. Cabins were dressed in Parisian Tweed nylon metallic fibres in blue, green tan or grey, harmonized with durable metallic vinyl bolsters. The Torsion-AIRE all-steel suspension system promised a velvety ride. 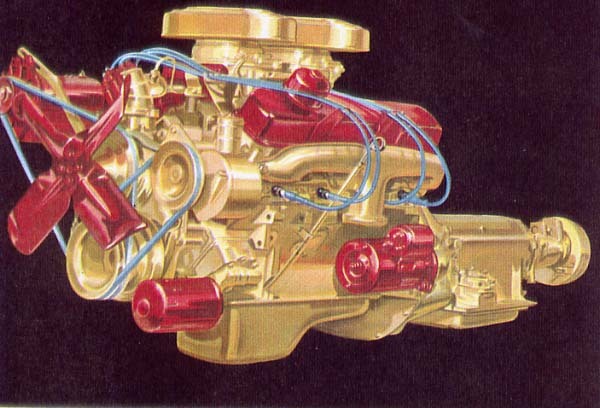 Fireflites were given the 305-horsepower Turboflash engine with a four-carb setup. The least expensive DeSoto in the lineup; the Firedome family promised value and prestige far above its price. It shared an engine with Fireflite but only came with a two-barrel carb. It also had no wagons but offered hardtops, a convertible and a sedan, decked in modest trimmings. Interiors were finished in strictly modern Mayfair Dobby weave fabrics set off with blue, green beige or grey vinyls in co-ordinating hues. All DeSotos were blessed with the TorqueFlite automatic pushbutton transmission as standard equipment. Americans could purchase DeSotos in a very inexpensive Firesweep series. Because it overlapped Dodge territory, it was not offered here. Adding some pizzazz to the 30th anniversary bash, designers trotted out the Cella 1, a DeSoto concept car in 3:8 scale. Powered by a chemical fuel system supplemented with electric motors driving each wheel, the breathtaking convertible-coupe featured novel heating elements in the greenhouse. 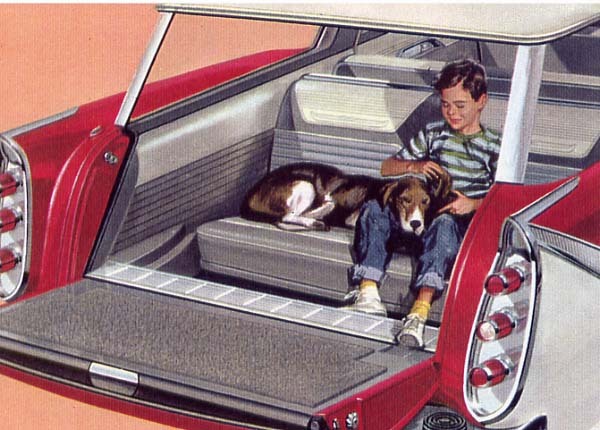 Seating four passengers, two faced rearward and were spoiled with such amenities as a refrigerator, TV, stereo tape deck and a beverage dispenser. There were about as many options for the production DeSoto as there were snowflakes in a good winter’s gale. 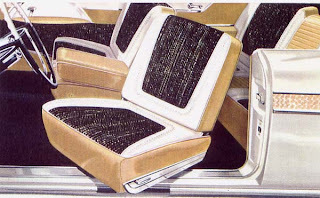 A Sports Swivel Seat angled outward by 40 degrees for passenger convenience of exit and entry. Safety padded dash, dual antenna, electric clock an automatic headlight beam changer, Dual-Jet windshield wipers, solar tint glass, the Mirro-Matic rearview mirror that set itself to reduce glare from the headlights of cars approaching from behind, a new outside remote-control mirror, an electric clock, the Touch-Tuner or Station Seeker transistorized Radio, a rear window defroster and a pushbutton heater were add-ons that made the drive more enjoyable. Then there were the extra-cost power assist options: Constant-Control power steering, Safe-Stop power brakes, Six-Way power seats, power windows all around--including the Vista-Vu power tailgate window for six-passenger wagons. 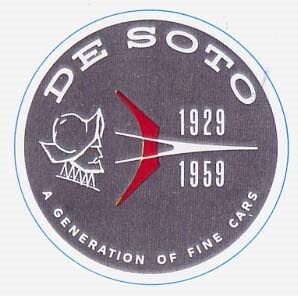 Officials secretly planned to phase out doomed DeSoto. They would do it without missing a single sale. Chrysler’s inexpensive Windsor series was expanded. The price tags on those entry-level Windsors were substantially lower than those of many DeSotos, causing consumers to bypass the marque altogether and move right on up the corporate ladder to the more prestigious Chrysler nameplate. Despite the unforgettable advertising campaign, “It’s delightful, it’s de-lovely, it’s DeSoto!” sales were only 1,404 units for the calendar year. Little captive import Simca had outstripped it four times over, finding 4,051 buyers. The dismally selling DeSoto would return for a final season in 1960.